The classification of sleep disorders has evolved over the years from a very symptom-based classification with essential three parts: insomnias, sleepiness, and abnormal events at night. Recent classification systems have tried to develop a classification based upon pathophysiology; however, a lack of understanding of the pathophysiological basis for many of the sleep disorders has prevented a pure pathophysiological classification. 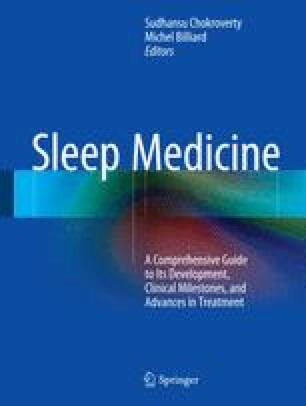 The International Statistical Classification of Disease and Related Health Problems (ICD) provides a largely symptom-based classification for epidemiological and mortality reasons, whereas the American Psychiatric Association’s Diagnostic and Statistical Manual (DSM) classification of the sleep disorders is a simplified version with the main features discussed for the benefit of psychiatrists. The International Classification of Sleep Disorders (ICSD) contains the most comprehensive classification of the sleep disorders, and it is the classification used by sleep specialists.